Saint Francis Medical Center is pleased to welcome Lauren Keith Heuring to the Saint Francis Family. Heuring has joined the Referral Services team at Saint Francis as a referral services manager. She will join the other referral services managers in cultivating positive relationships with area referring physicians by addressing issues, answering questions and providing timely information about new services and technology available at the Medical Center. Heuring graduated with a bachelor’s degree in Journalism from the University of Missouri-Columbia. 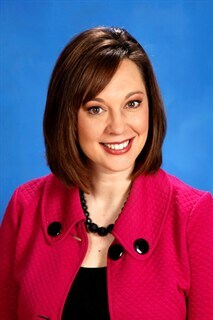 She has extensive experience in broadcasting and advertising, as a news anchor for KFVS12 since 2004. Her major service line responsibilities will be primary care, neurosciences and surgery.